Ideal PR Media produces editorial content through our digital magazine (The IDEAL Magazine) and highlights on our blog. Ideal PR Media has a background in publicity, new artist and small business development as well as film production. Our company provides media training for talent and consulting services for publicists and entertainers. Ideal PR Media transitioned from a PR firm (formerly Ideal PR) to a digital media company in 2011. Our company has been providing media training and consulting services to actors, athletes, major record label artists, indie artist and films since 2002. To discuss our consulting or media training services, please email us at pr(@)idealpr.com. 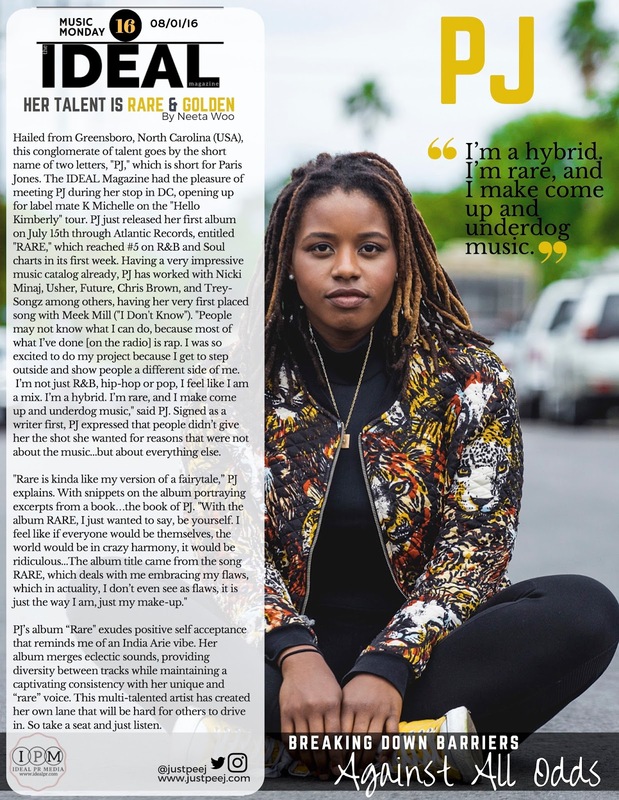 The IDEAL Mag embraces diversity and highlights a wide range of features in the arts (music, film, fashion, fine arts, sports and other entertainment). We aim to bridge the love for arts and entertainment between various cultures, countries and walks life. The IDEAL Magazine's demographic is about 65% women 35% men with 90% of our readers falling between ages 25-55 from countries all over the world. The IDEAL Magazine continues to publish feature content through our website and produce occasional combined full digital issues. With its founder having a background in TV/Film, Fashion and Music, The IDEAL Magazine will continue to support established as well as up and coming talent with the aim to enlighten and entertain our readers. 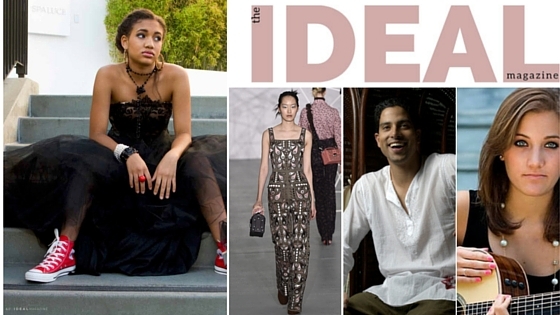 The IDEAL Magazine highlights diverse entertainment content related to fashion, music, beauty, food, TV/films, noteworthy events, happenings and other arts related areas which we have attended or been invited to connect with.